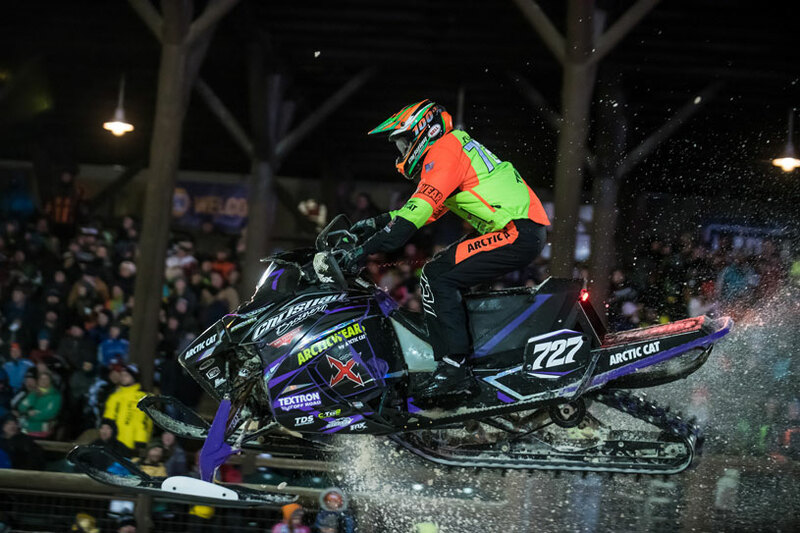 Fertile, MN (January 28, 2019) - The Days of '76 Rodeo complex in Deadwood, South Dakota, played host to the fourth stop on the snocross National tour this past January 25-26. 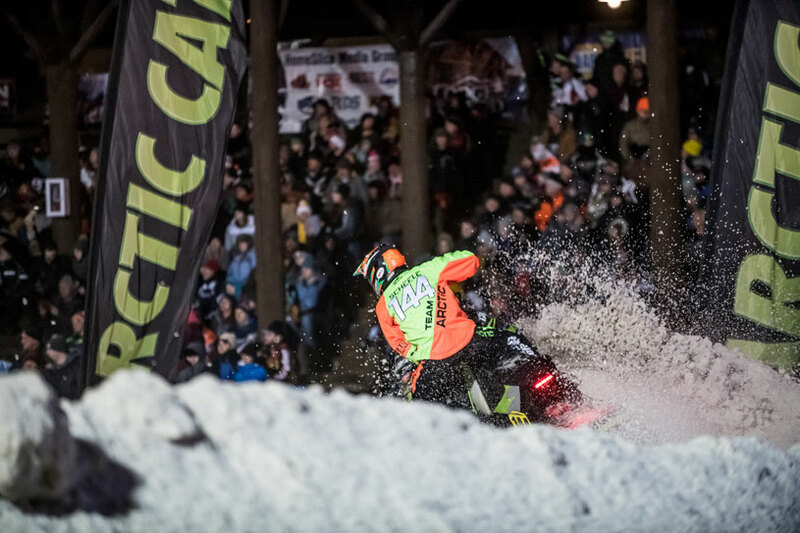 With snow coming down both nights, weather played a factor in the event, hurting visibility for the riders. Deadwood is also just shy of a mile high, so altitude meant there was a little less oxygen in the air for both riders and machines. 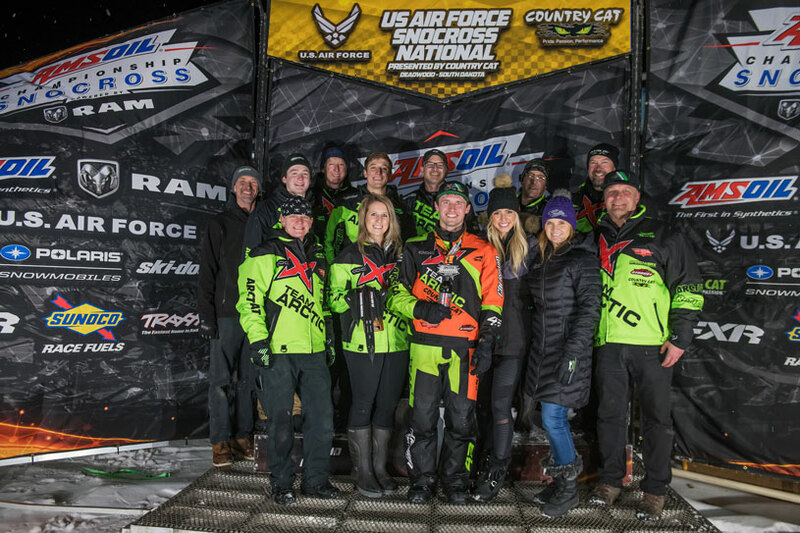 A perennial podium finisher, Logan Christian stood on the box for the first time this season at Deadwood. 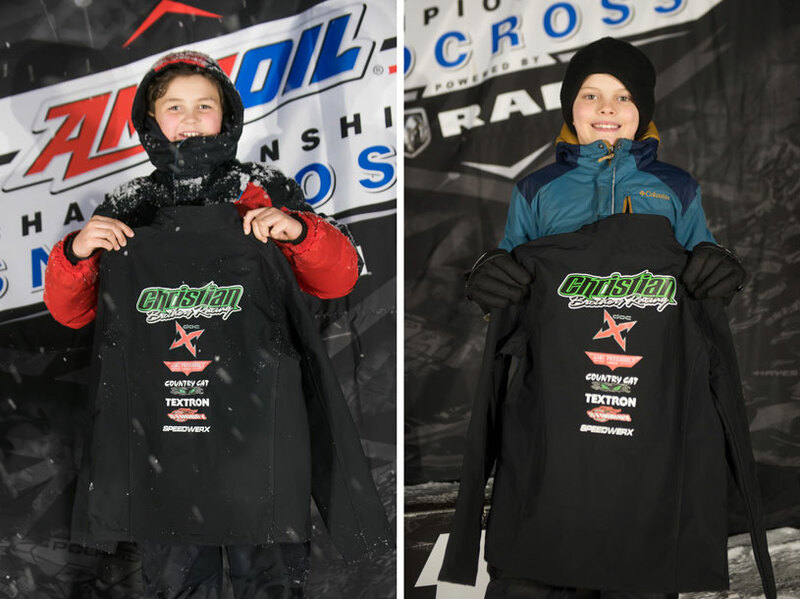 After finishing 7th in a crazy race that saw a red flag re-start on Friday, Christian came back Saturday and capitalized on a fast start, slotting his machine into third place. A little over halfway through the race he moved into the second spot and began to challenge for the lead but ran out of laps. "I got a great start on Saturday then made a couple moves to get into second place," said Christian. I was on the leader's bumper the rest of the race, but just couldn't get a pass to stick. It feels good to get back on the box, we'll shoot for the top step in Michigan! Pictured above : Logan Christian thanking Lt. Col Hebert and members of the U.S. Air Force Recruiting Squadron 343RCS for their service. 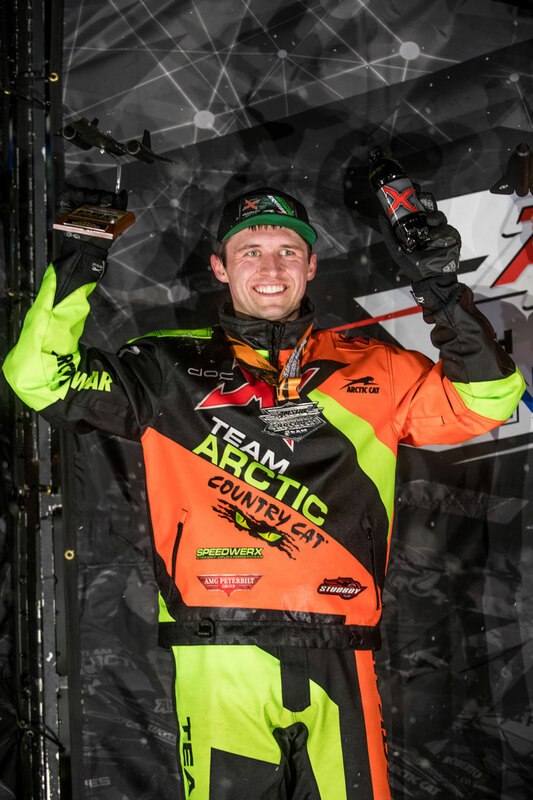 Last year Jacob Yurk was the rider to beat in Pro Lite. This year he and the team have been working hard to sort out a new machine, and definite progress was shown at Deadwood. Yurk claimed a 7th place finish on Friday and came to post an 8th place finish Saturday. Not the podiums he's used to, but a few strides closer than he's been so far this season. 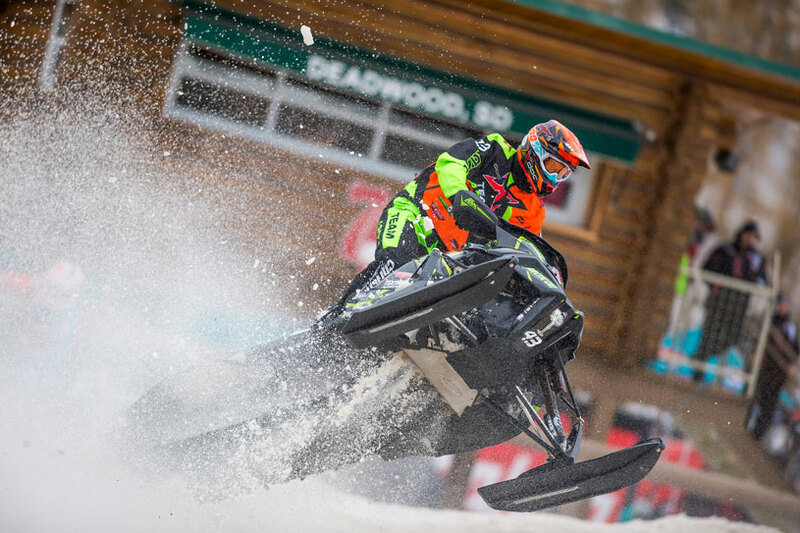 "Deadwood was our best weekend yet," Yurk said. 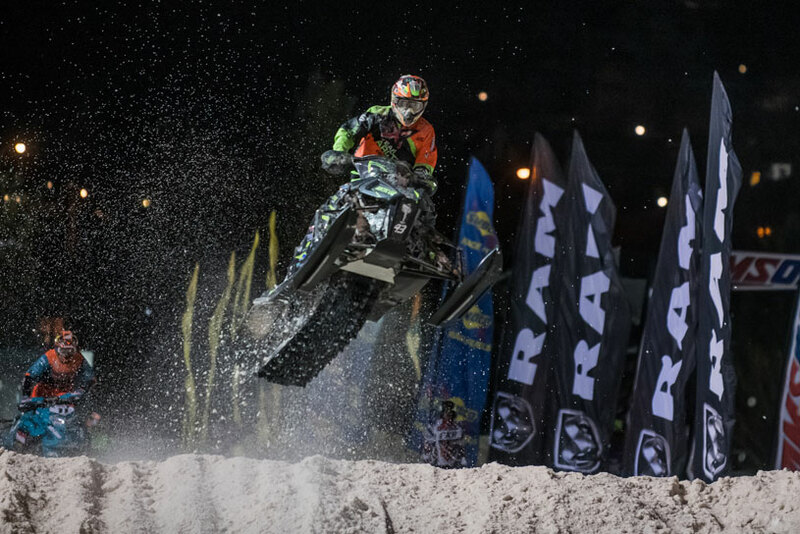 "We made the front row for both finals and we were highly competitive in all our races. 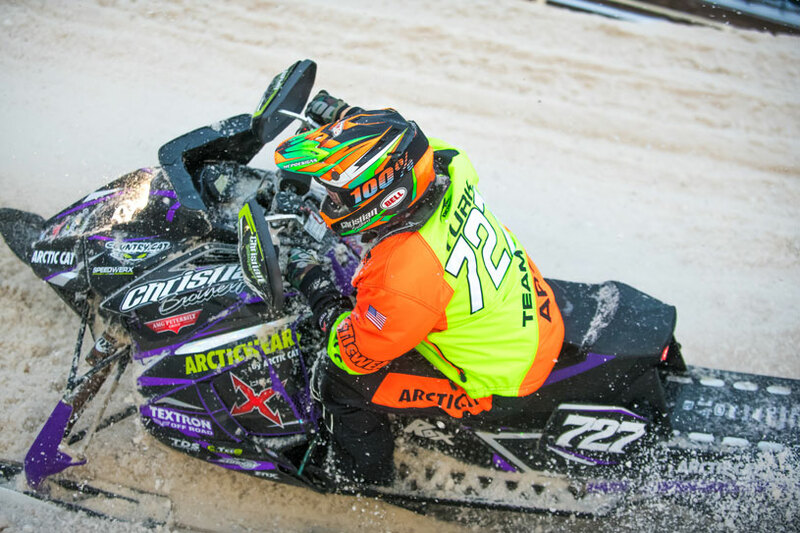 I'm getting stronger on the sled and the team is making a lot of progress getting it dialed in. Looking forward to my home race in Mt. Pleasant, Michigan!" One sure bet in the Sport class is that young rider Anson Scheele will be somewhere near the front of the pack. 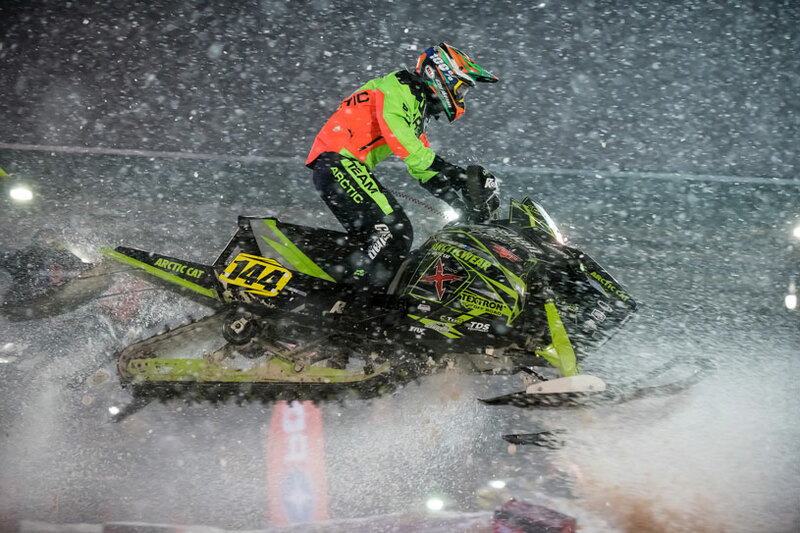 Deadwood was no exception with Scheele just missing the podium with a 4th place finish on Friday, then coming back Saturday to claim the 8th spot. 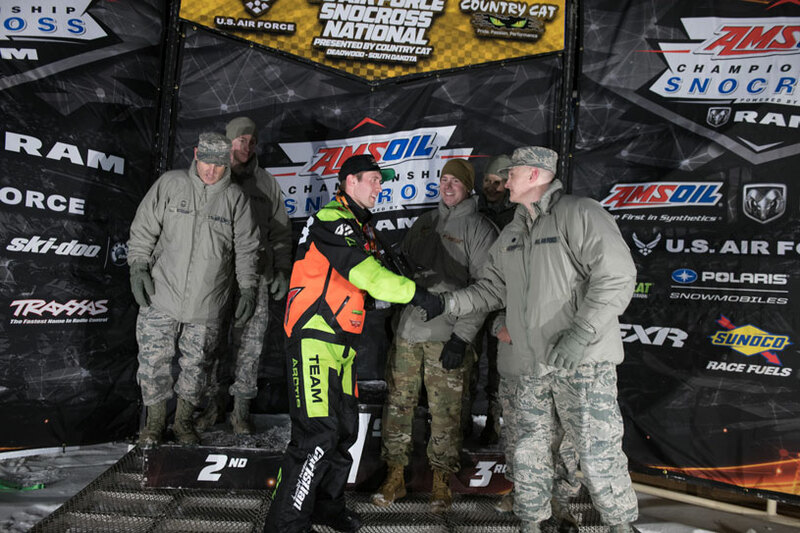 Next up for the Christian Brothers Racing snocross team is the Soaring Eagle Snocross National February 1-2 at Soaring Eagle Casino & Resort in Mt. Pleasant, Michigan. For more information on Christian Brothers Racing visit www.christianbrosracing.com. Follow Christian Brothers Racing on Facebook, Twitter, Instagram and YouTube.